This could be the one! Enjoy sitting on the front porch, relaxing and passing the time away, while viewing the waters of Lake Killarney. This spacious home offers over 2700 sq.ft. and is just perfect for entertaining and a growing family. 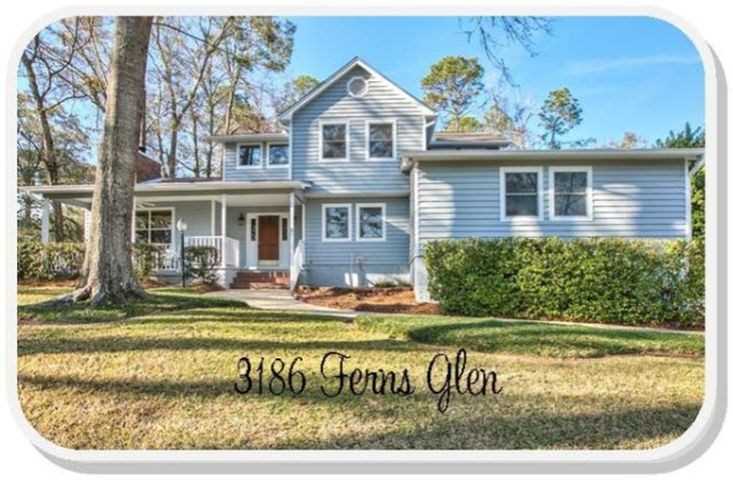 Home features a superior floorplan that includes a private office, large bedrooms, fabulous living room with vaulted ceiling, oversized kitchen...you will love the space, and so much more. The family room with its french doors would make the perfect toy room for little ones or second office. Many options for use of space in this great floorplan. Loads of closet storage space throughout the home.This home is located in one of the most desired and convenient areas of Killearn Estates. SchoolsClick map icons below to view information for schools near 3186 Ferns Glen Drive Tallahassee, FL 32309. Listing provided courtesy of Armor Realty Of Tallahassee.